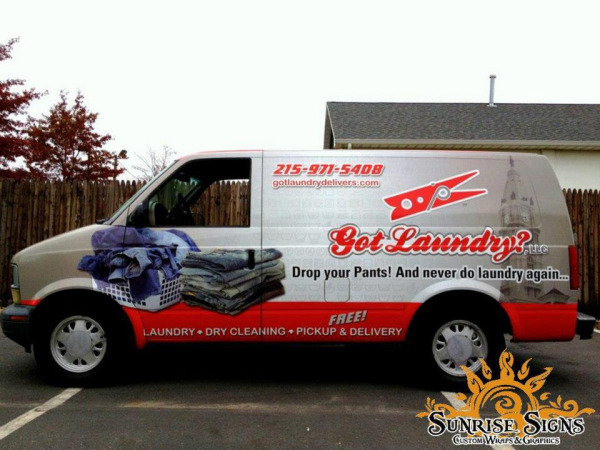 How does a family-owned laundry service company get noticed and drive sales in Philadelphia? Got Laundry is reaping the advertising benefits of investing in Chevy Astro van wraps! Since 2009, Ray Wall and his family have been offering an amazing service! They’ll pick up your laundry or dry cleaning and deliver it back to you clean, fresh and folded! When it comes to laundry, some folks consider it one of the most time-consuming chores ever—who has the time but everyone needs clean laundry!